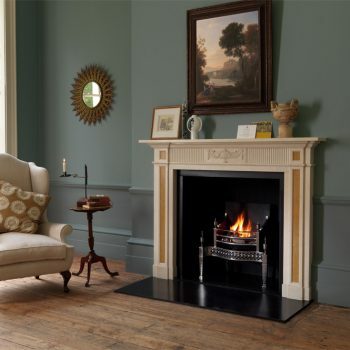 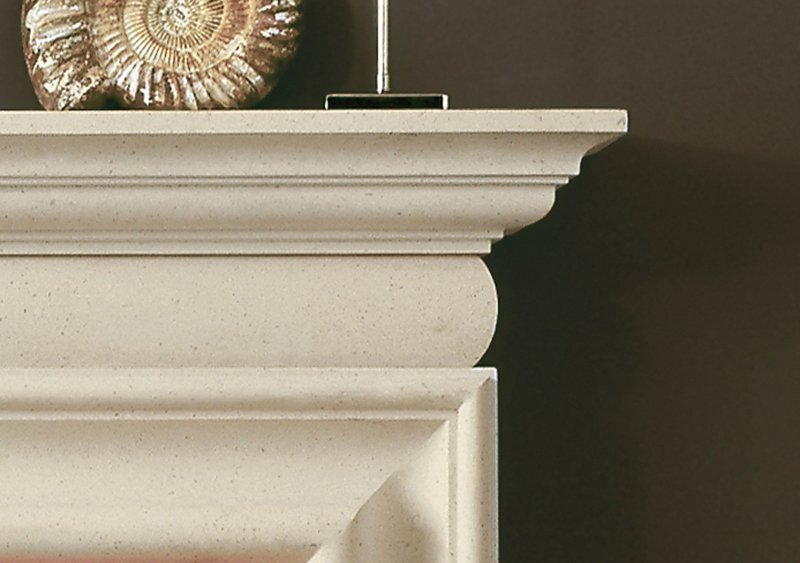 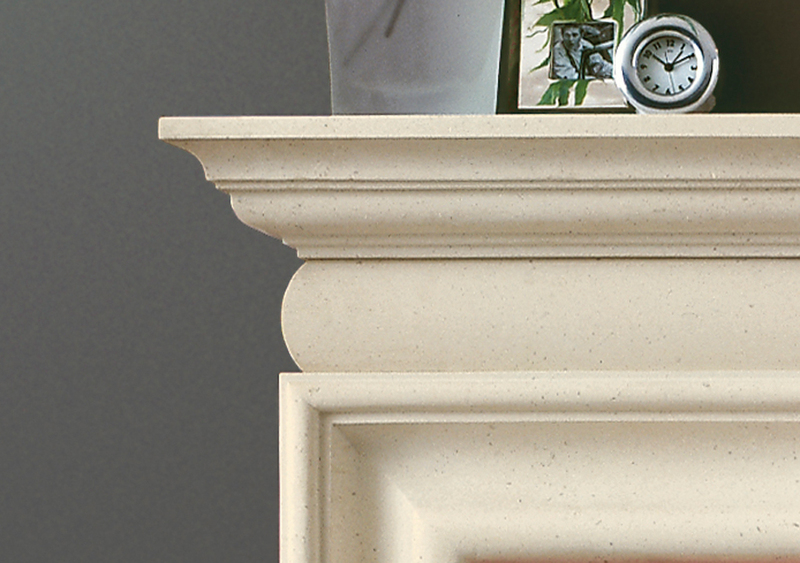 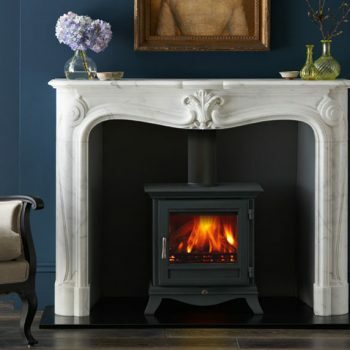 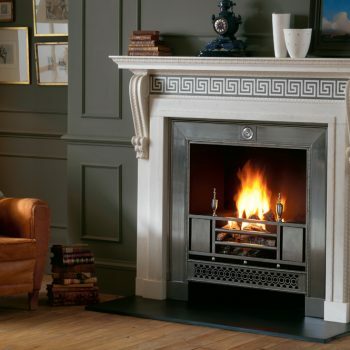 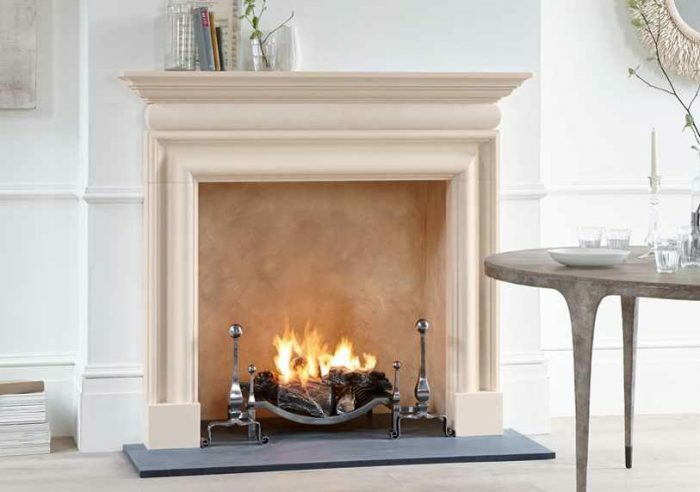 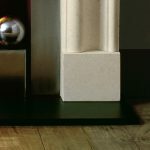 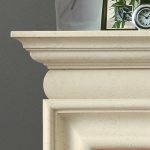 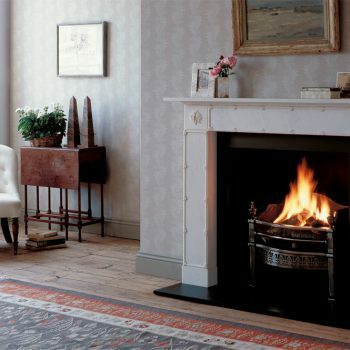 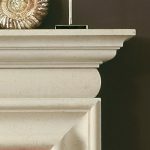 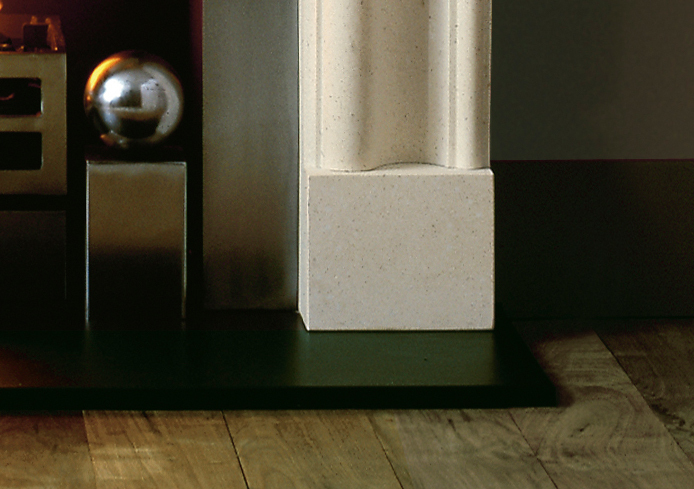 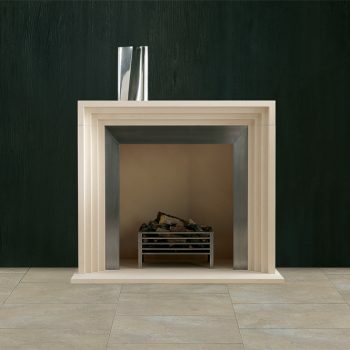 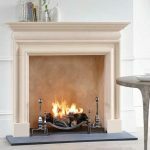 Chesneys Clandon fireplace, carved in limestone, is based on a Queen Anne design from the beginning of the 18th century. 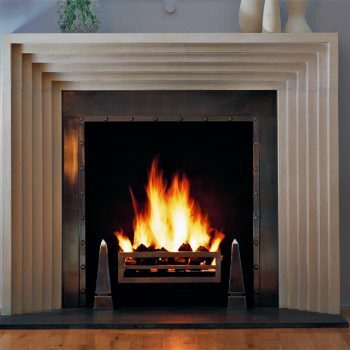 Its simple uncluttered lines combined with generous curves make it very flexible for use anywhere. 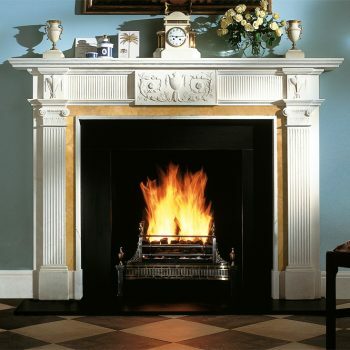 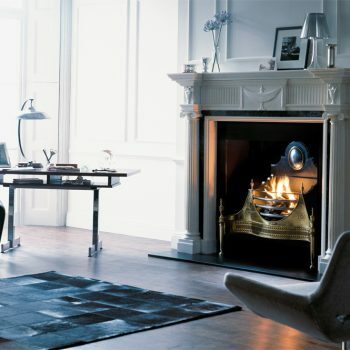 It is shown with Burton forged steel andirons and the 22″ Swansnest fire basket for dogs.